This year's 2019 annual Great Valley Vol. Firemans Regatta will be held May 4th, 2019. Registration is open! 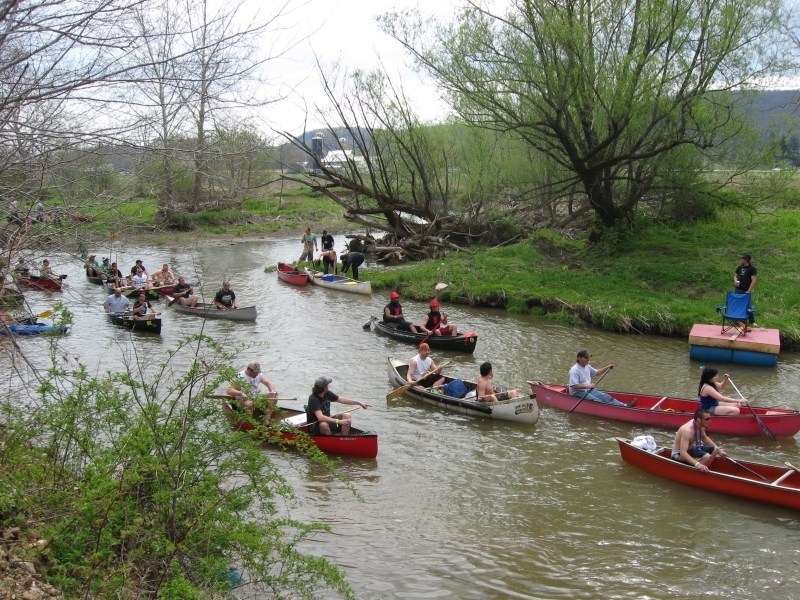 Sponsored annually by the Great Valley Volunteer Fire Company, this 10 mile regatta is fun for spectators and participants. Prizes for best costume, group and fire department. Dinner, music and refreshments top off the day! This year's theme is "Revenge of the Nerds"! While the regatta is actually on Saturday, you can register to camp from Friday through Sunday. Camping spots are 20ft. x 30ft. All participants must be 21 and valid ID is required at the event. $50.00 per person and $50.00 per campsite which holds up to 4 people. Please check the website for more specifics, rules, regulations, and FAQ. All other inquiries can be made to the company via email - greatvalleyfire [at] gmail [dot] com. To register (now open) or post a question, visit the Great Valley Fire Company's Regatta page. Photo by Becky Smith.